Did you know that Gravity Flow provides a way to send entry data to external services and applications? The Outgoing Webhook step is a technical feature but you don’t need to be a developer to understand the power it can add to your processes. The Webhook step has been built-in to the Gravity Flow core since its release back in October 2015 and it’s the easiest way to add webhooks to your processes that send form submission values to an external service or application. 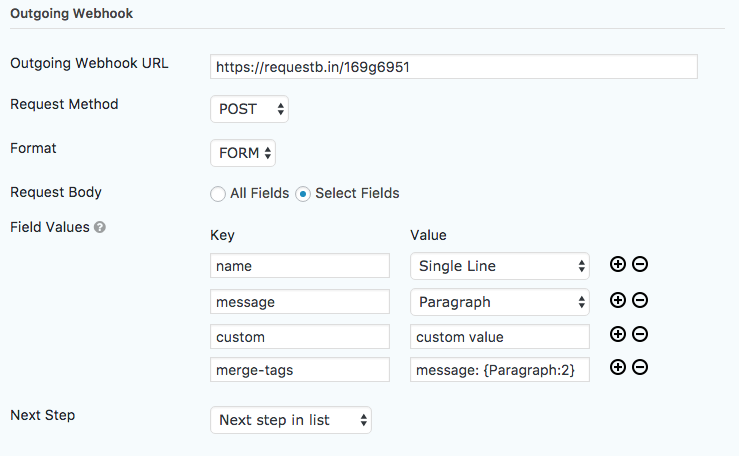 In Gravity Flow v1.5 now you can specify which field values to send in the Webhook step, add custom values and keys. Merge tags are also supported. Outgoing webhook steps can be added at any point in a workflow. View the documentation on the Gravity Flow Outgoing Webhooks.